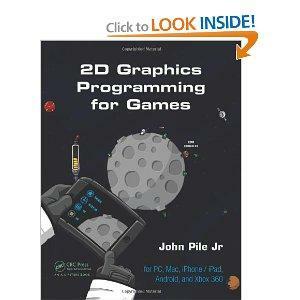 The book 2D Graphics Programming for Games is now available from your favorite book outlets. 2D Graphics Programming for Games provides an in-depth single source on creating 2D graphics that can be easily applied to many game platforms, including iOS, Android, Xbox 360, and the PlayStation Suite. The author presents examples not only from video games but also from art and animated film.